Why a Girls' Boarding School? Established in 1894, Chatham Hall was founded as the first girls' Episcopal school in Southern Virginia, and today we are grounded in the values of the Episcopal tradition. We invite you to learn more about us and get to know the places and people who make Chatham Hall one of the top girls' boarding schools in the country. Welcome! We are thrilled you want to know more about Chatham Hall. 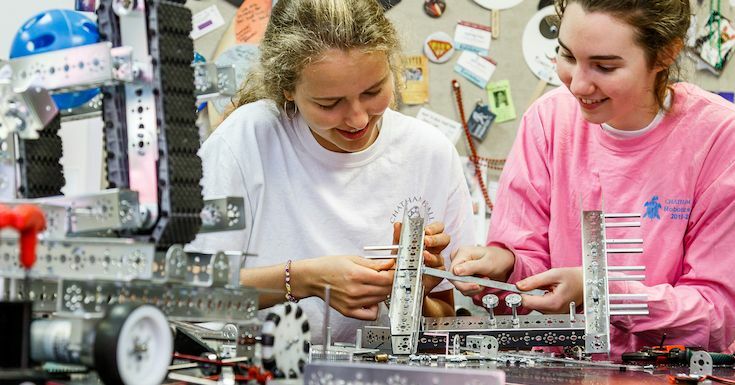 Choosing a boarding school is an incredibly important decision and we are here to help you experience why at Chatham Hall you can always expect the exceptional. Chatham Hall is committed to cultivating curiosity, excellence, and innovative thinking in girls. Our student centered approach is driven by highly qualified faculty who provide personal attention. Dynamic project based learning is at the center of our educational experience. A supportive community of fellow students rounds out the inclusive environment. All of this comes together in an educational opportunity you won’t find anywhere else. Life on campus is the perfect complement to our academic vision- at Chatham Hall we empower girls to better the world. Our thoughtfully designed residential life program helps girls cultivate a sense of self and place in the world- all while forging lifelong friendships, making connections with girls from around the world, and having once in a lifetime experiences. Athletics and the benefits of physical fitness are important aspects of the Chatham Hall experience. Our athletics program supports our goal of helping girls become their best selves by teaching them to enjoy the mental, emotional, and physical benefits of teamwork, perseverance, and self-sacrifice in the athletic realm. Our riding program is nationally recognized and balances an inclusive approach with a focus on all aspects of horsemanship with a competitive spirit. 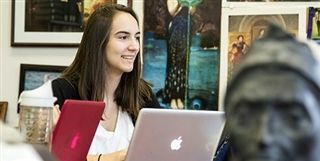 A Chatham Hall education includes many options for study and travel around the globe, and offers purposeful service activities designed to teach girls about themselves through experiencing new environments and cultures. Many of our programs offer grant funded study, ensuring that girls have the opportunity to follow their dreams and make the world their classroom. 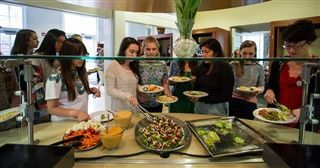 Chatham Hall changes lives and our devoted alumnae base is a testament to that experience. The Chatham Hall network is made up of alumnae, parents, and friends- many of whom give time and resources to ensure that the legacy of Chatham Hall lives up to our motto; Esto Perpetua (May She Live Forever). Have you always wanted to...learn how to invest money? Solve a mystery? Build a robot? Get involved in a cause that’s important to you? You can do it all at Chatham Hall! 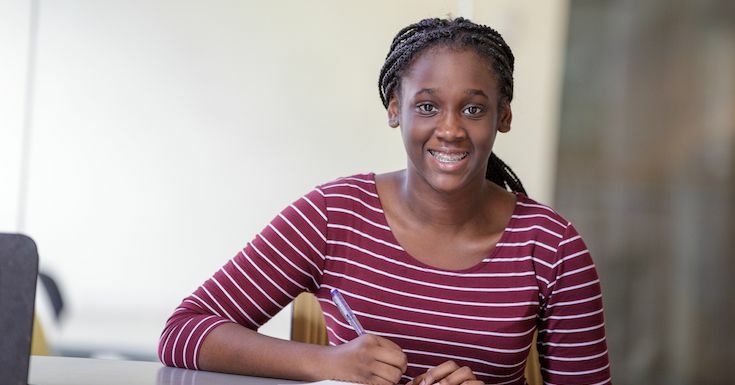 Our dynamic Summer Program Offerings are terrific ways for girls to make new friends, learn about teamwork, and develop independence in a fun boarding school setting! Our Summer Riding Programs are nationally recognized development programs for girls to build their skills while learning all aspects of horsemanship in a beautiful and engaging environment. 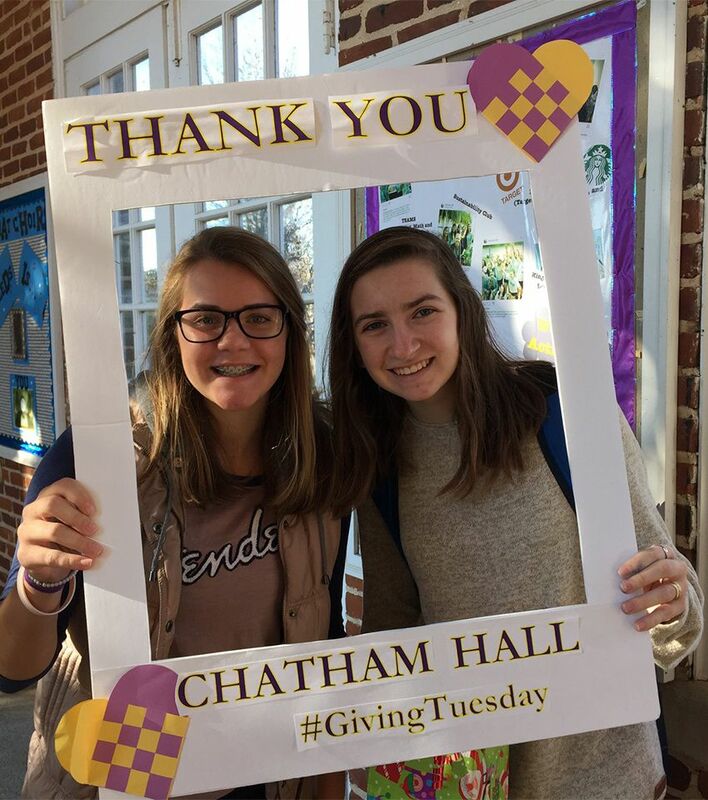 On November 27, Chatham Hall celebrated #GivingTuesday, a global giving day. Alumnae, parents, and friends, as well as teachers and students here on campus, showed their appreciation for the School by making a gift or pledge to this year’s Annual Fund. It was another strong year of participation thanks to the Purple and Gold Challenge, pitting the teams against each other to have the most donors by the end of the day. When all was said and done, the Purple team won with 178 donors, while the Gold team closely trailed with 154. Celebrated on the Tuesday following Thanksgiving and the widely-recognized shopping events Black Friday and Cyber Monday, #GivingTuesday kicks off the charitable season, when many focus on their holiday and end-of-year giving. Since its inaugural year in 2012, #GivingTuesday has become a movement that celebrates and supports giving and philanthropy with events throughout the year and a growing catalog of resources. Chatham Hall extends a sincere thanks to all 332 participants who made a gift or pledge to the Annual Fund. The generosity of those donors, and the support their gifts offer, make an invaluable impact on daily life at Chatham Hall. An additional thanks to those community members, students and teachers alike, who stopped by the Well to write notes of encouragement to recent alumnae in college. 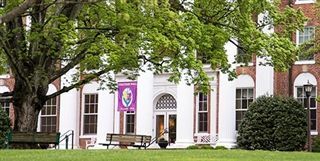 An all girls boarding and day school in Southern Virginia, Chatham Hall prepares girls for college and for productive lives. Our innovative academic program offers Advanced Placement courses, global study and travel, as well as project based learning. 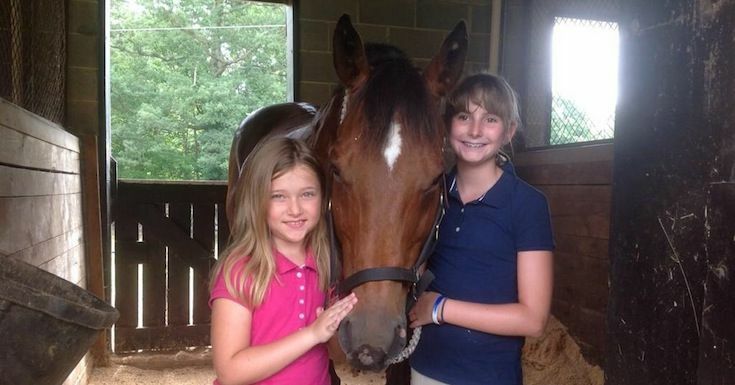 Our athletic teams regularly compete at the State level and our exceptional riding program is nationally recognized. We foster the intellect and character of each student and, through our Honor Code, live in a community of trust. Grounded in its Episcopal heritage, the school welcomes students of all faiths and backgrounds.